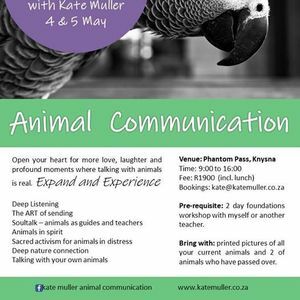 Open your heart for more love, laughter and profound moments where talking with animals is real. 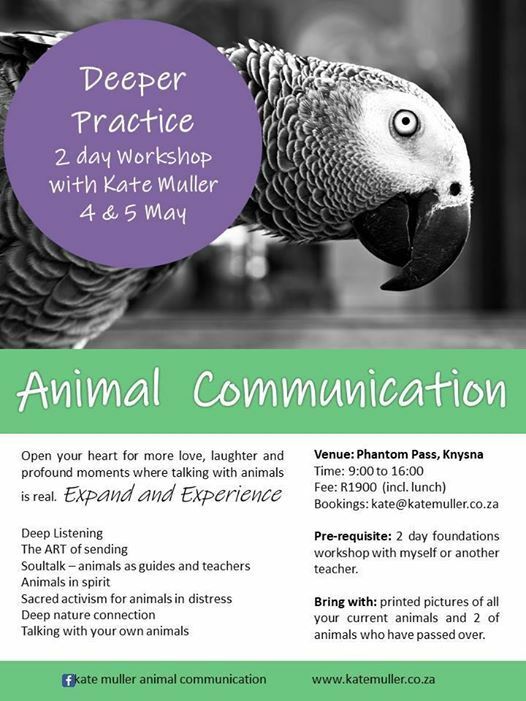 Pre-requisite: 2 day foundations workshop with myself or another teacher. Bring with: printed pictures of all your current animals and 2 of animals who have passed over. Dr Pieter GR Roelofse Inc.